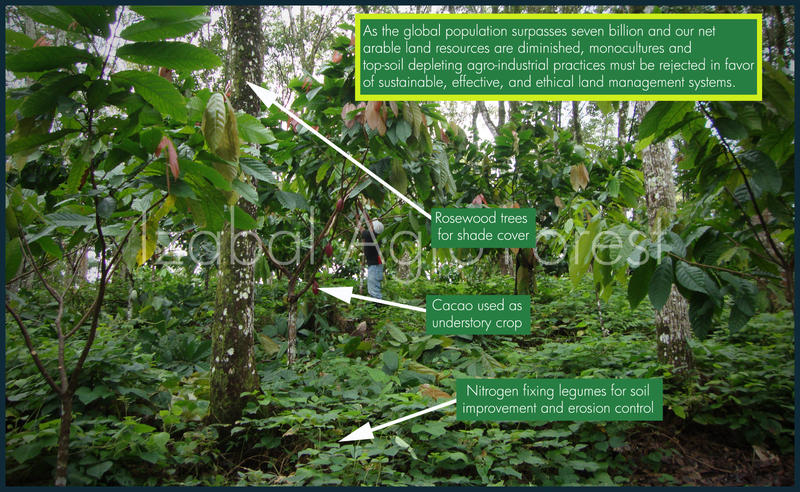 This entry was posted in Agroforestry, Cacao, Mahogany, Native Species, Social investment, Uncategorized and tagged agro-forestry, agroforestry, Cacao, cacao industry, Chocolate, Ghana, Latin America, monoculture, Theobroma cacao. Bookmark the permalink. Juan is right on as regards history repeating itself with the new cacao “gold” rush. With few exceptions large scale (200 + has.) plantations have not been successful. I remember the 1960s Hershey Plantation in Belize, which with all the technical advice and capital available at the time was not sustainable. If a large project is planned, then it ought to be small plots of say 10-20 has. separated by surrounding barriers of native hardwood trees or natural rain-forest. Furthermore from an economic point of view the shade overstory planting needs to be carefully designed to utilize suitable precious hardwoods,such as genuine (Swietenia m.) mahogany or one of the endangered Rosewoods, e.g. Dalbergia stevensonii, retusa or nigra, which tend to grow straight and have a limited crown with small leaves that allows a dappled light to penetrate. 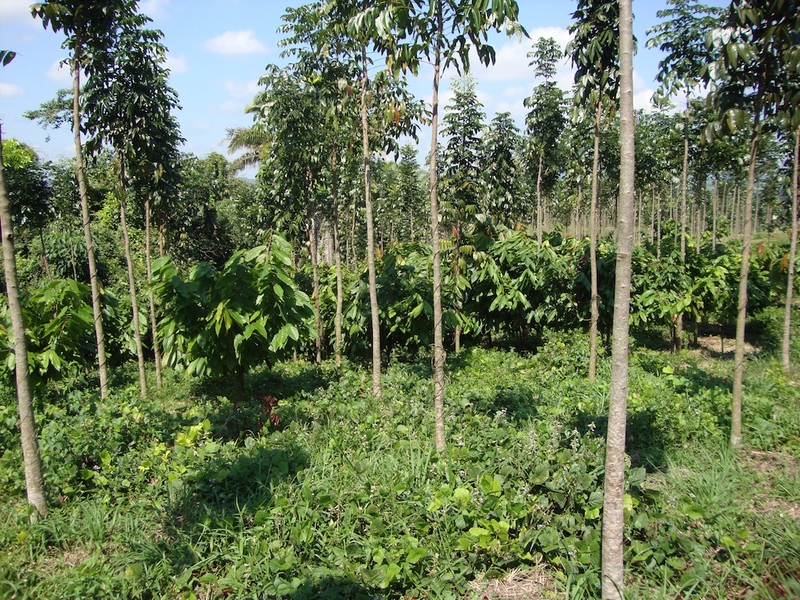 With mahogany you can plant at 4 x 4 m. intervals two years before the cacao and then slowly thin to 200 trees by age 15. Planting precious hardwoods is paramount to a savings account, where by age 25 the mahogany at 1.5 cubic meters per tree is worth more than the previous 20 years of cacao . Foresters need to work closely with new cacao growers,regardless of size, to insure a project’s future. 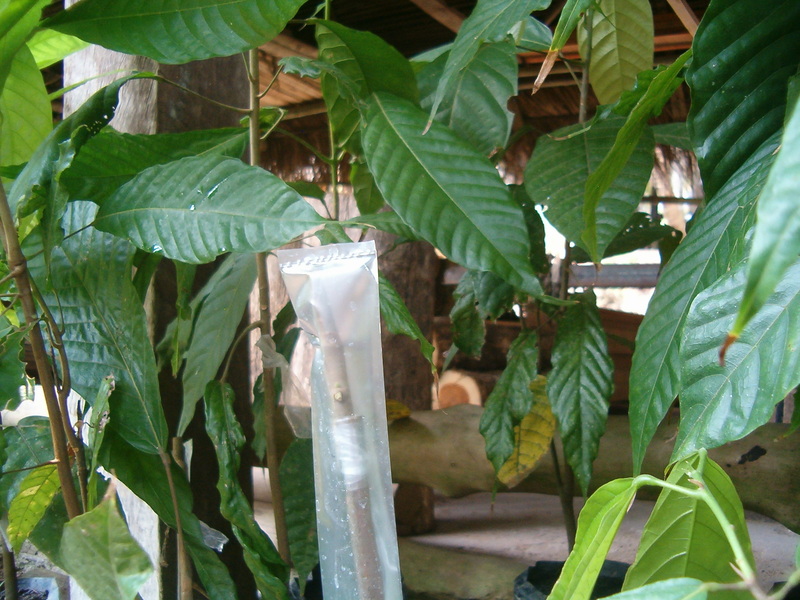 Even if the cacao is eventually damaged by disease,pest or weak markets, the hardwood will be the life jacket.